Compact, durable, and powerful, the Bobcat E80 is designed to boost the efficiency of your business. These excavators boast a spacious cab that provides the operator with a work environment that is conducive to productivity. As has come to be expected of Bobcat, this machine won’t let you down when the going gets tough. 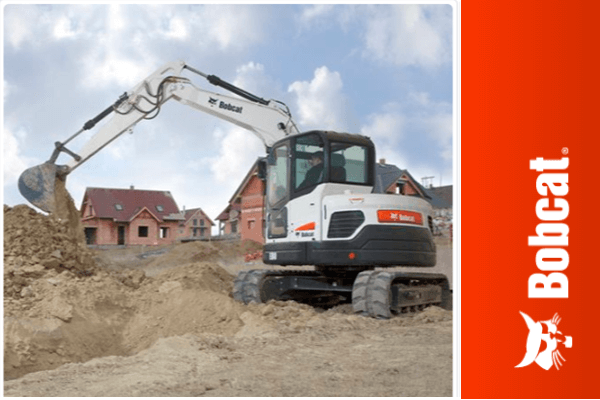 You can find excavators for sale on Truck & Trailer. The Bobcat E80 is a compact model with an 8.5-tonne operating weight, which makes it the biggest model in the Bobcat range. The E8 features an engine package that was developed for countries outside Europe that aren’t restricted by the Stage 3B emission standards. 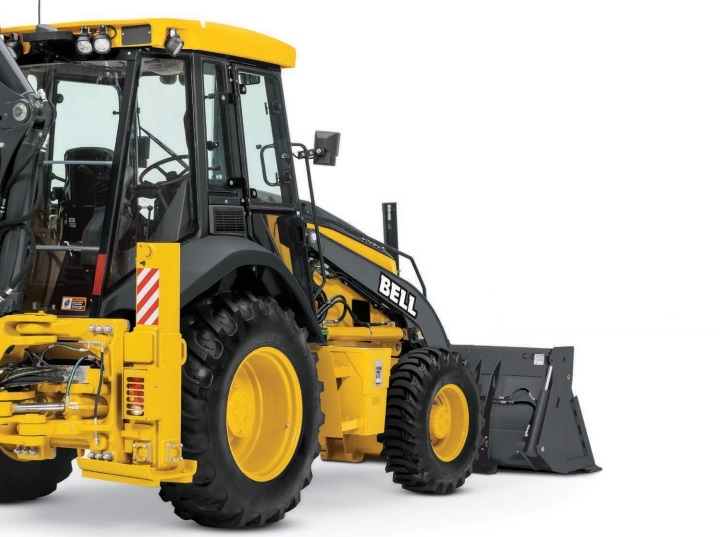 Highlights of this excavator include its comfortable cab as well as its impressive hydraulics. The E80 is built to get the job done for sure. You can customise this machine with steel tracks and a long arm to meet your requirements precisely. The capabilities of these machines can be extended with the third auxiliary hydraulic lines. 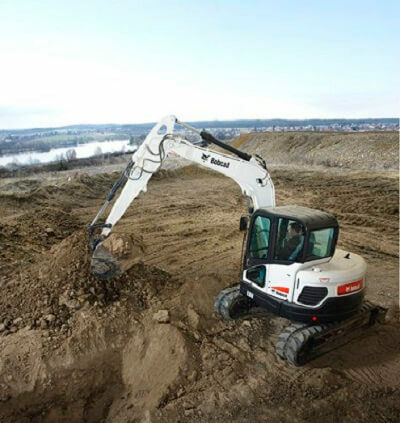 The Bobcat E80 excavators benefit from a trustworthy Yanmar engine, which delivers 40.7 kW of power. The four-cylinder engine has a displacement of 3 300cm3. It has a peak torque of 248 Nm at 1 300 rpm. The engine, combined with the auto-idle feature, helps to boost the fuel economy of this model. Improved fuel efficiency reduces running costs without compromising on performance. The E80 is equipped with a closed centre hydraulic system, which optimises the performance of these machines. The system offers you a smooth performance without compromising speed or digging power. The end result is improved precision and efficiency. 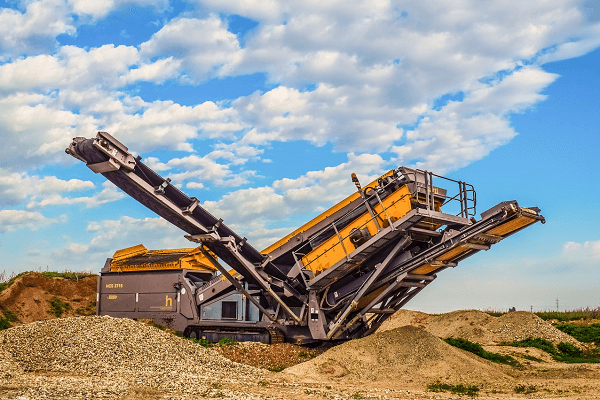 Its dipperstick digging force is 40 900 N and its long dipperstick digging force is 34100 N. The bucket digging force for this model is 54 600 N. The E80 offers two-speed travel with a low-range travel speed of 2.9kph and a high-range travel speed of 4.6kph. The piston pump capacity for this model is 144.00 l/min and it has an auxiliary flow of 120.00 l/min. The E80’s durable design is complemented by a 2 300mm dozer blade and 450mm rubber tracks. 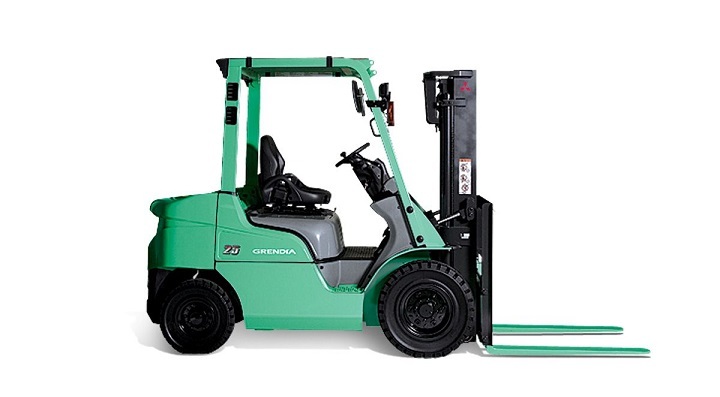 When this machine is equipped with a standard bucket, it has an operating weight of 8 380kg. The long dipperstick increases its weight by 58kg. 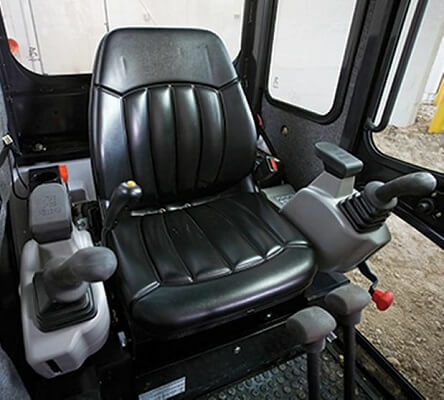 The spacious cab offers the operator a pleasant work environment, which promotes productivity. The E80 features fingertip auxiliary hydraulic control as well as hydraulic joystick controls. The lockable storage compartment helps to keep the cab neat and tidy to create a well-organised workspace. Control console locks are another feature of this model. The air-conditioning maintains a pleasant temperature inside the cab despite the weather conditions outside. The E80 features work lights, a sun visor and a suspension seat. It has an electric refuelling pump for added convenience. Safety is an important consideration when you’re investing in excavators. The Bobcat E80 is fitted with an overload warning device, which alerts the operator if the machine becomes unstable. Safety valves offer additional protection while the retractable seatbelt is another noteworthy safety feature of this model. 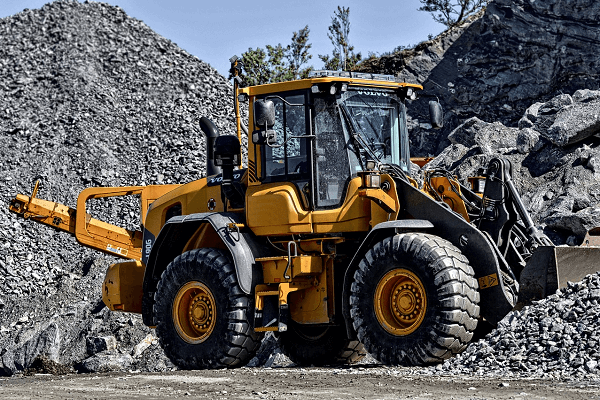 Proper maintenance is an important aspect of owning an excavator as it ensures that the machine operates at maximum efficiency. Models that are designed for easy maintenance help to reduce downtime. The Bobcat E80 has a big right-hand side cover that makes it convenient to reach the service points. Regular maintenance tasks can be carried out easily thanks to this design. The main valve can be reached by tilting the cab forward. Access can be achieved quickly and no special tools are required for this task. Bobcat offers you a range of machines to choose from that are designed to exceed your expectations. Now that you know more, you can find Bobcat excavators and more for sale on Truck & Trailer. Compact, durable, and powerful, the Bobcat E80 is designed to boost the efficiency of your business. Read more on our blog. Previous story The Iveco Trakker SR always delivers!